This little cutie surprised Mommy & Daddy six weeks early, but look at him now! Chubby cheeks and the sweetest mohawk EVER. 🙂 We had such fun capturing a blend of posed and lifestyle portraits that will work beautifully as a keepsake album to be treasured for years to come. Even “big brother” Clutch made time in his busy schedule to join us for some of our favorite family portraits. Thanks again for welcoming us into your home, and allowing us to preserve these precious memories for your family!! 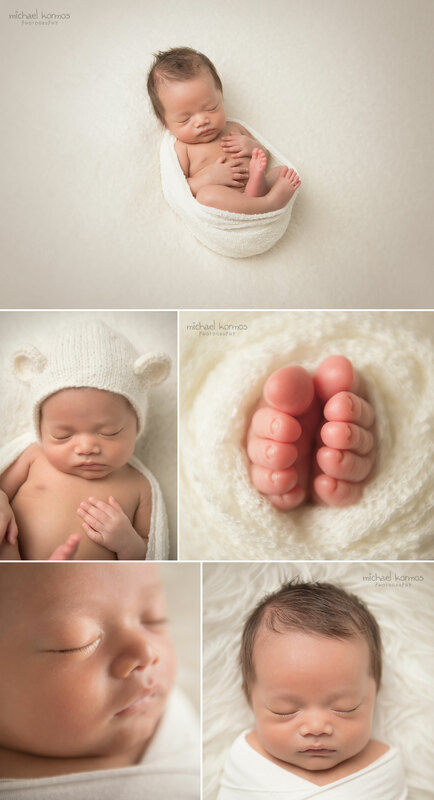 Michael Kormos Photography is available to photograph maternity, newborn, baby, and family sessions throughout NYC. Our boutique photography studio is conveniently located in Midtown Manhattan. 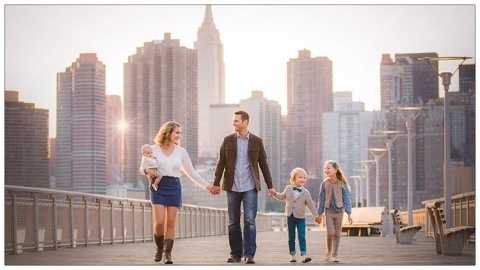 We love to offer children and family photography on-location for a more natural feel that incorporates the NYC skyline backdrops. Our sessions are relaxed and enjoyable, so we can capture those perfect moments of genuine emotions and interactions among family members. Our goal is to preserve these fleeting moments as beautiful works of art that your family will cherish forever! Our clients love to display their custom art as wall clusters and albums to tell a story with their portraits. Please don’t hesitate to reach us anytime by email or at our Midtown Manhattan Studio: 212.544.0102 to schedule your own baby photography and family portraits. We look forward to hearing from you!